A little late but still Tuesday :). and Artist Brushes sets by Darkroom Door. 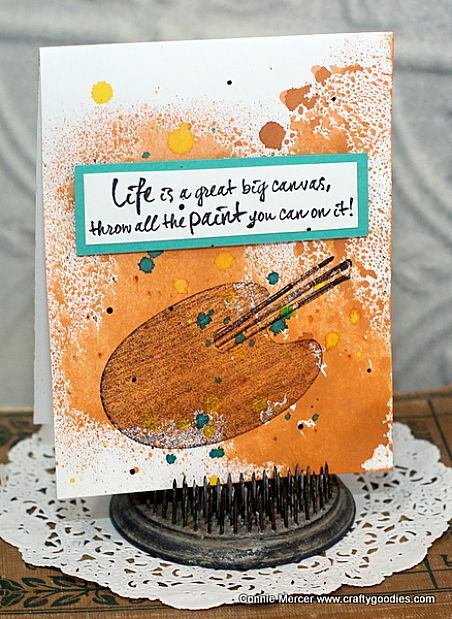 These cards are easy to create, just need ink sprays and stamps. 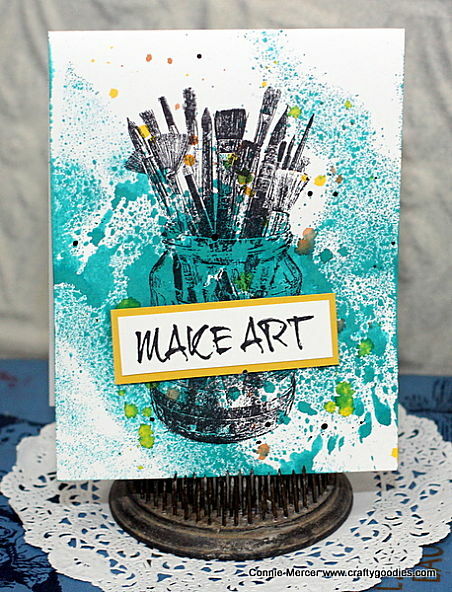 To create this card spray colored ink spray on the card front and heat dry. Stamp the image on the color and let dry. 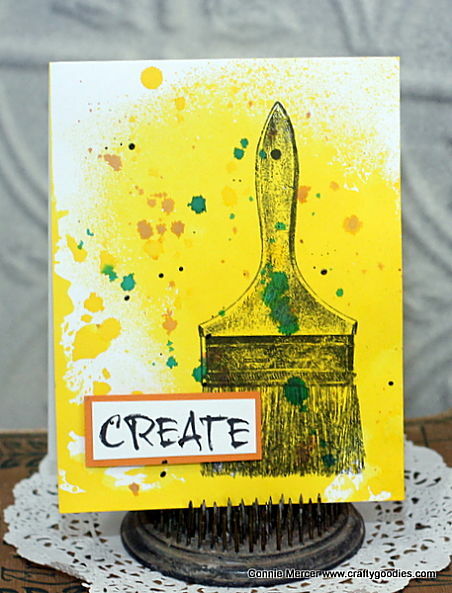 Speckle with other ink spray colors. Add sentiment. This one is created the same way just used different colors of ink spray. a cute set of cards that go together! Wow wow wow wowwwwwwwww! These are GORGEOUS!!!!!!!! They are the coolest. Love them! Fall Fun with Quick Quotes!